You know the tagline of Backpack ME is: Piggy-back ride with A&Z! That’s also our name on Facebook and Twitter… but the truth is that there is someone else behind Backpack Me, apart from A&Z. 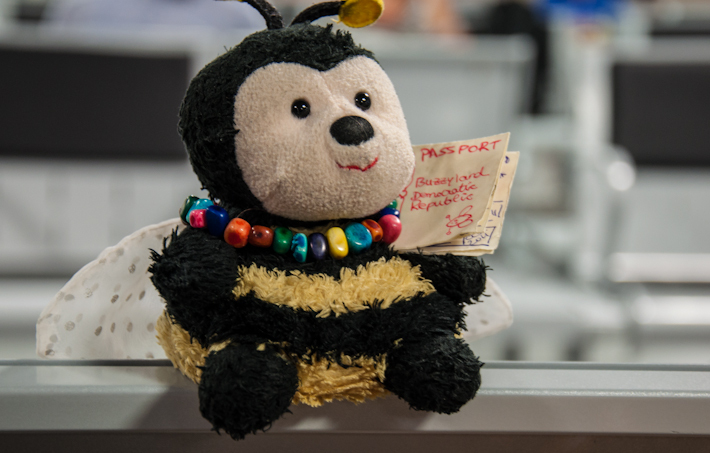 Shehedbee, also known as “Bee”, is our loyal companion and has traveled to many places around the world with us. 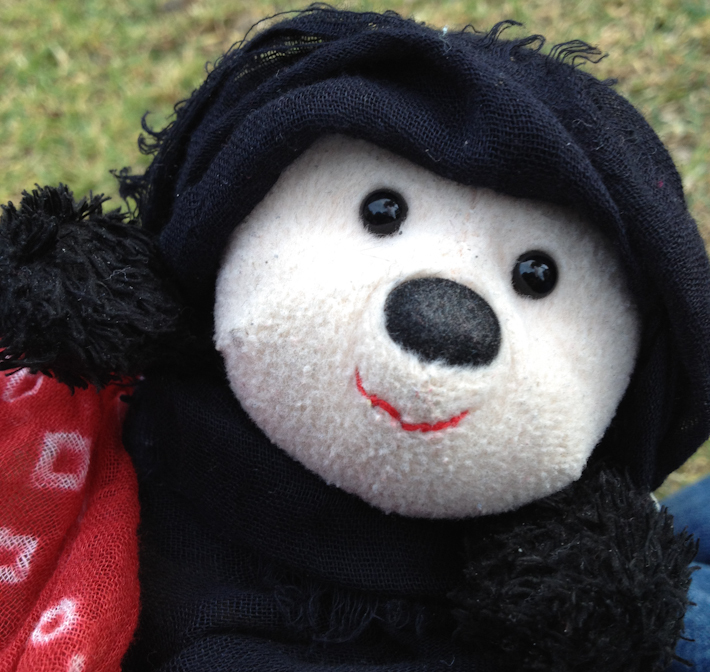 You have probably seen her photo in previous posts or in our Instagram feed, because she’s always around and ready for adventure! 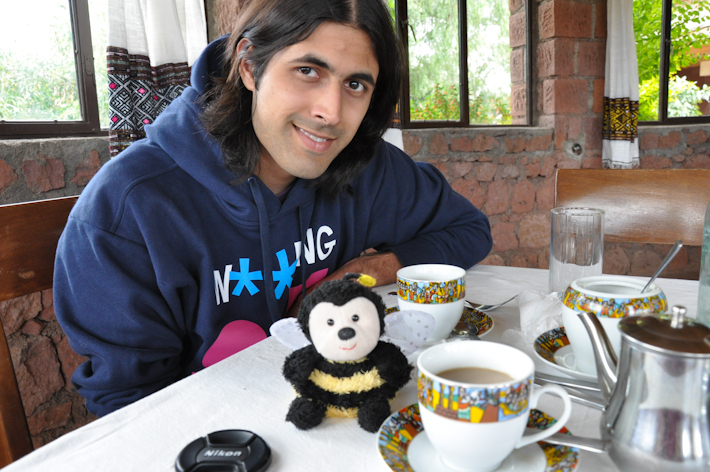 Today it completes 2 years that Bee has joined us, so here’s a little tribute to the 3rd element of Backpack ME! 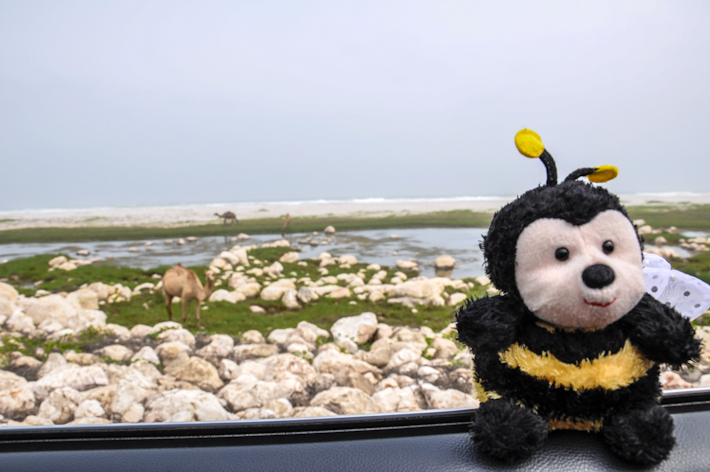 Before she became a world traveler, just like us, Bee used to live in the Middle East. 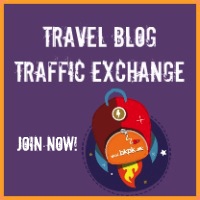 It was after that trip together that we all started planning to quit our jobs to travel around the world! 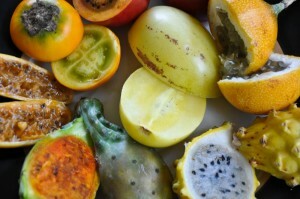 Before heading out to spend a year around Latin America, we went to Ethiopia. Not only the country is beautiful, they have some pretty spectacular monuments and cheerful people, they also have incredibly good coffee. 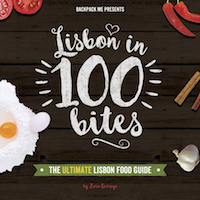 … and why not, do a road trip around Spain for a couple of weeks too! 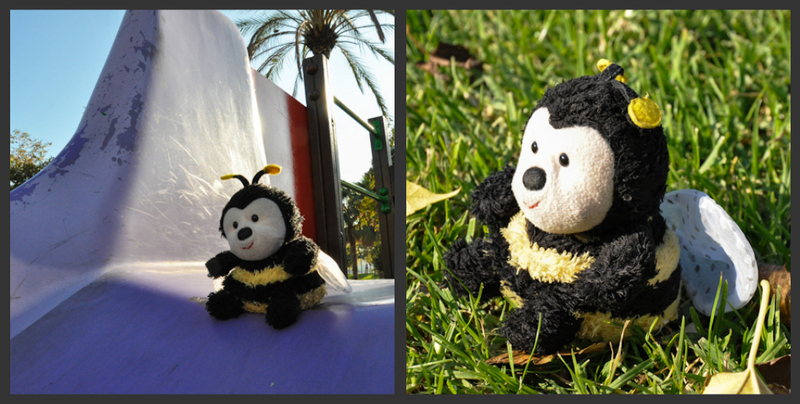 It's a sunny day at the park in Valencia. Traveling is not only about fun. Actually, it’s mostly about experiencing, learning and coming across new ways one can contribute towards making the world a better place. 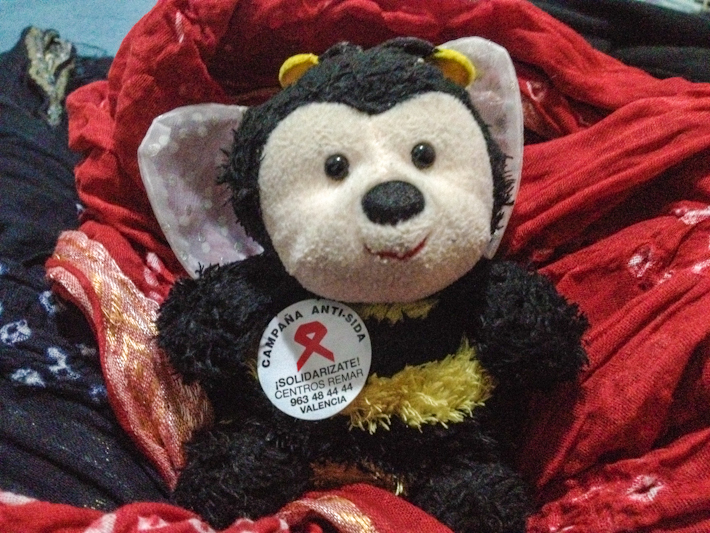 Bee knows that, and the AIDS awareness campaign she took part in while we were in Spain shows it! 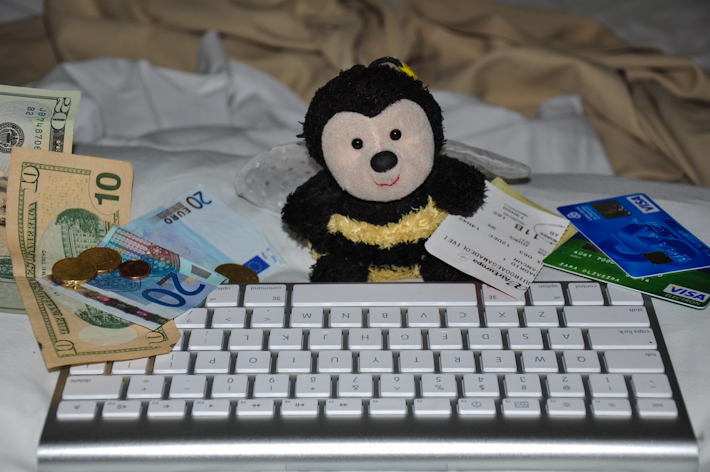 After crossing the Atlantic, it was non-stop for A, Bee & Z. 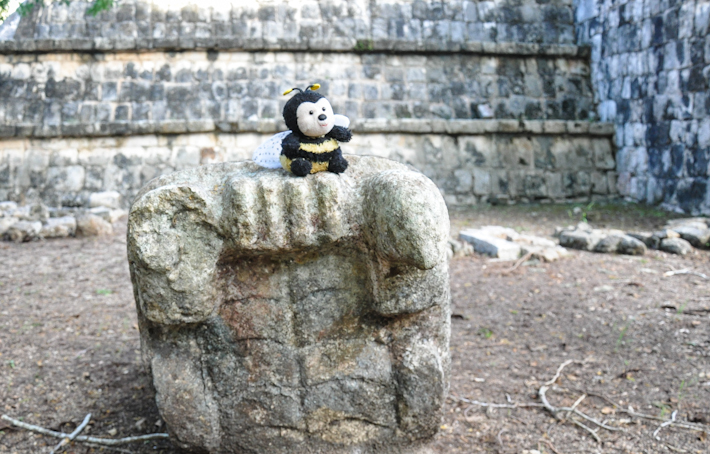 We started off in Mexico, lounging at the incredibly beautiful beaches of the Yucatan Peninsula, indulging in food with such an intense array of flavors and, of course, visiting the historical marvels built by Mayans and Aztecs. And of course, there was tequila. Mucho tequila! Still on a fairly tropical state of mind, we moved down to South America, and arrived to Brazil, just in time to celebrate “the biggest party on earth”: Carnival in Rio de Janeiro! 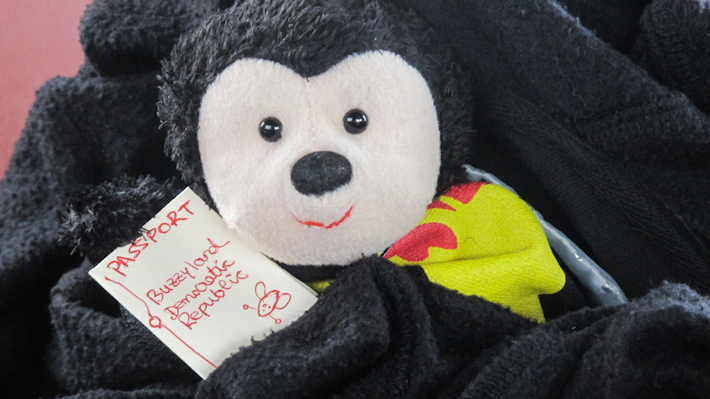 At the airport in Sao Paulo – our hub for the rest of Brazil! After about a month all over Brazil, we decided to take it easy for a while, and so we rented a place for 2 weeks in Quito, the capital of Ecuador. There, we spent our time mostly blogging, doing homely things such as cooking, and trying out all the new foods we’d find at the local market. It was in Ecuador too, before heading to the Amazon and the Galapagos Islands, that we celebrated Bee’s 1st birthday. As we’re all foodies, we treated ourselves to some fancy Italian cuisine and coffee pudding. They didn’t have Bee’s favorite, Indian butter chicken, but the food was delicious! After a rustic month in Ecuador, we reconnected with the city life-style in Santiago de Chile. Bee has even been to the “most remote inhabited place on earth”, that is, Easter Island! That’s a pretty cool one to add to your travel map, isn’t it? 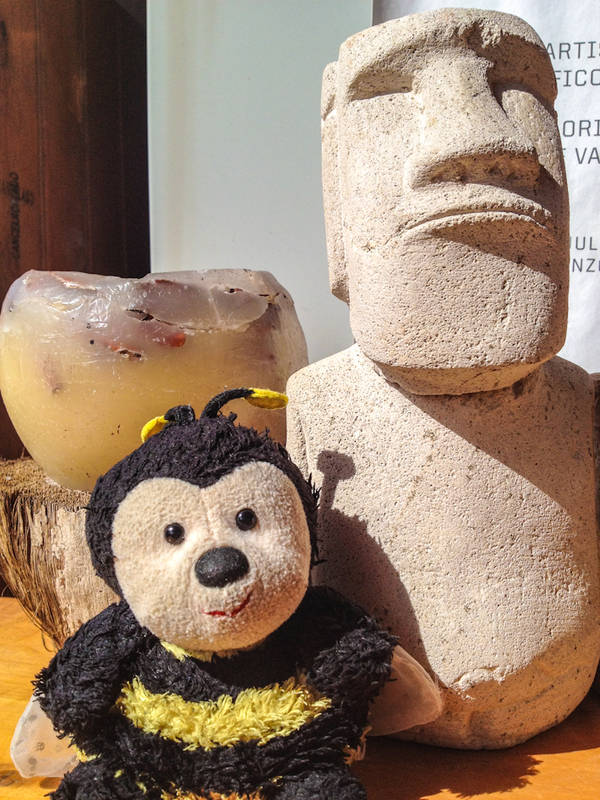 Yes, this is a mini Moai statue, not an oversized Bee. 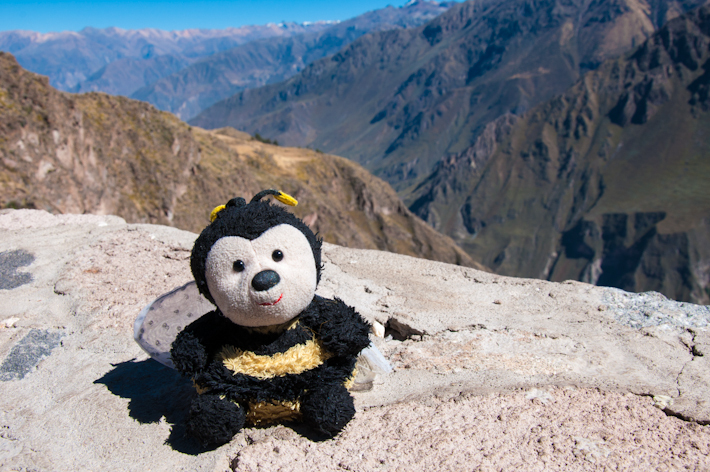 Peru was one of our favorite countries last year and Bee had some exciting moments in there too. 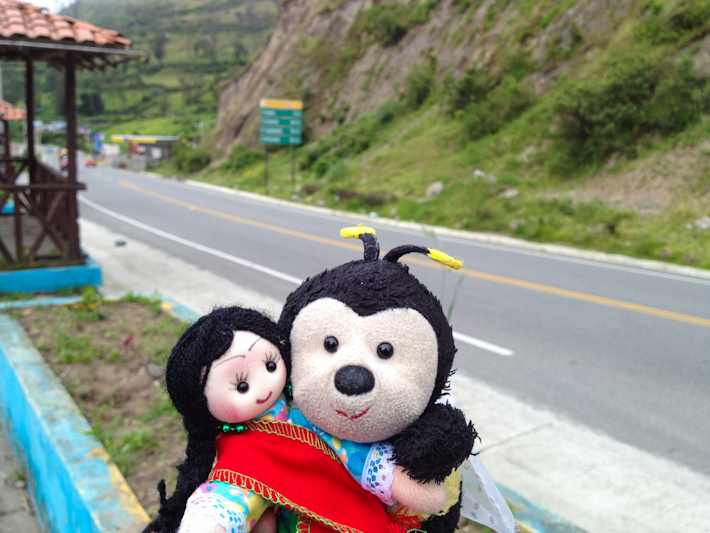 … she was also there in Machu Picchu when we got engaged! 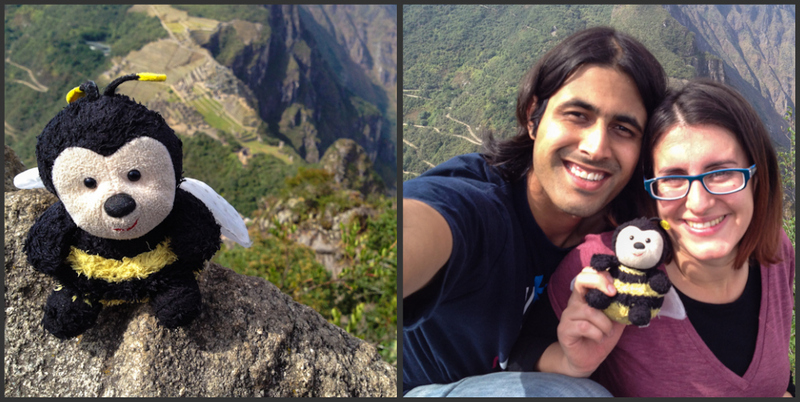 A day full of love, in Machu Picchu! 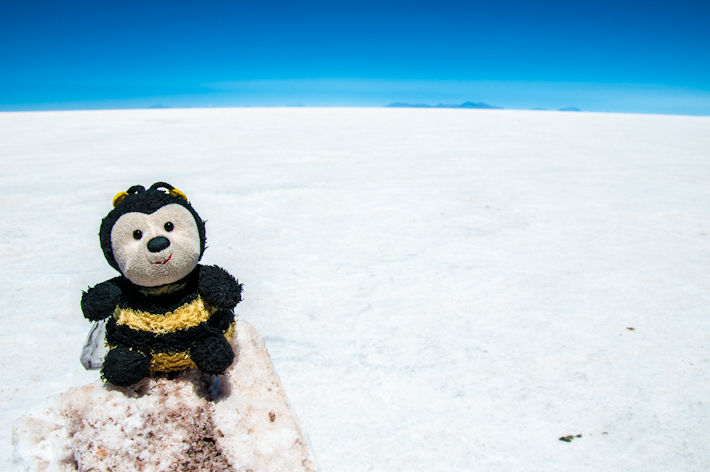 In Bolivia, Bee posed away in Salar de Uyuni, adding color to the otherwise incredibly white landscape. Everything looks white in Salar de Uyuni. Except Bee. 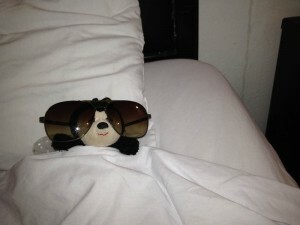 Recently, we’ve all been staying in India. 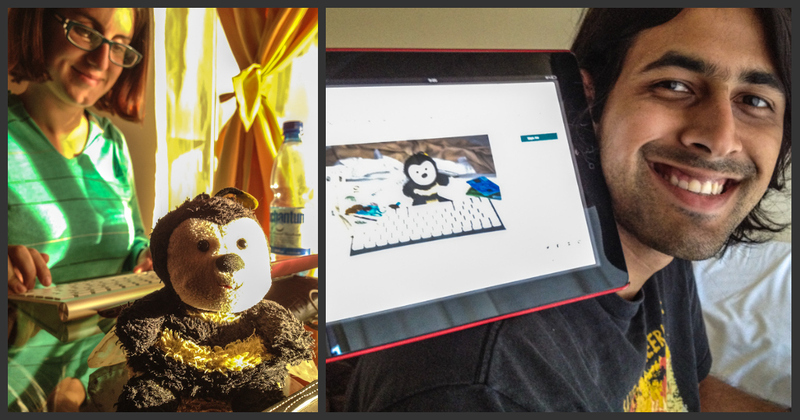 We have just gotten married and we’re planning our upcoming travels, which we shall update you on very, very soon! 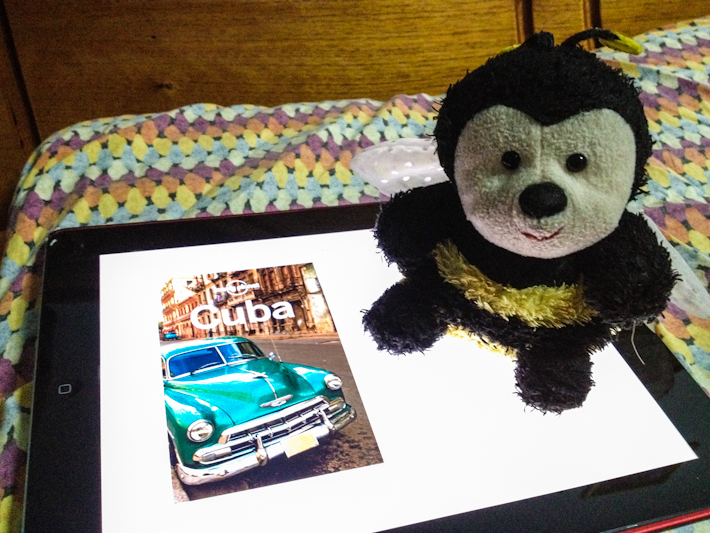 Bee is so much fun! 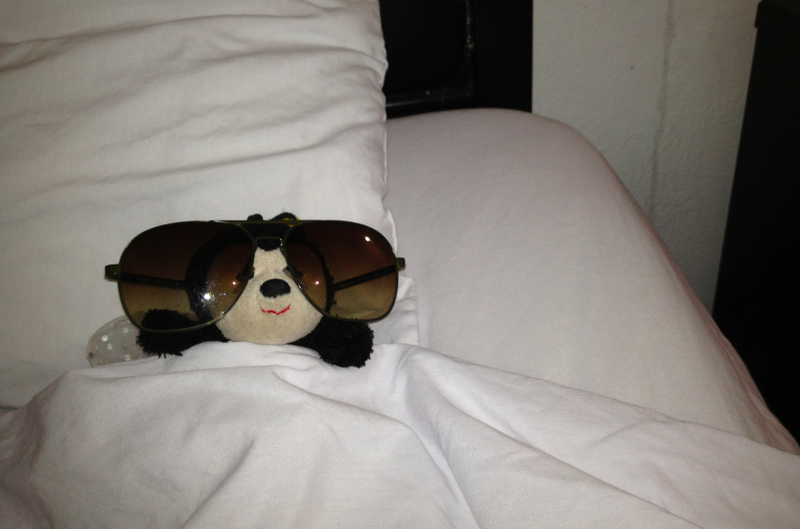 She’s a great travel mate, fearless adventurer, foodie just like us and an art towel freak – no one digs hotel rooms and funky looking towels like she does! 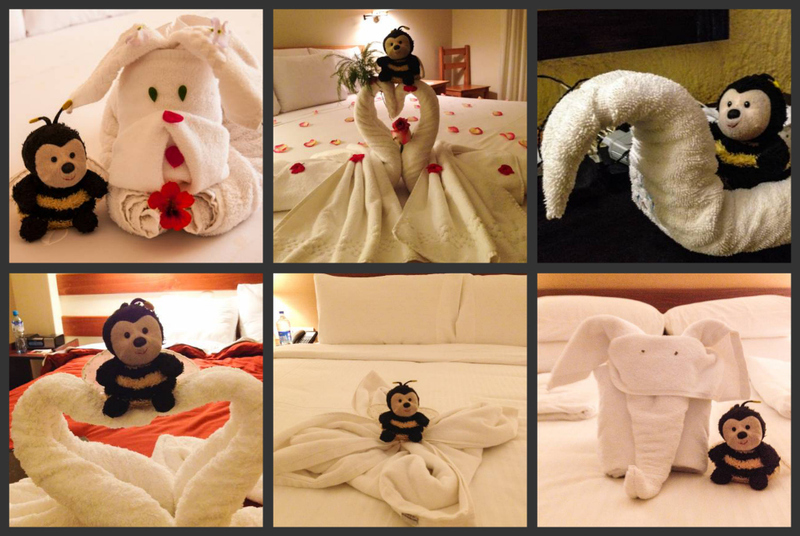 Enjoying towel friends all over the place! But not everything is play. 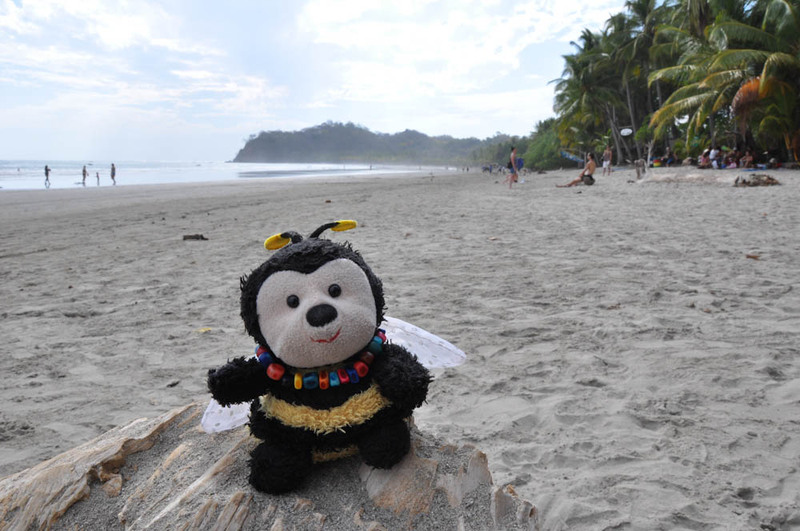 Bee also works hard on Backpack ME and she’s even been featured on ZITE as her photo was included in a very popular article Ashray wrote about traveling programmers and how to make a living programming on the road. 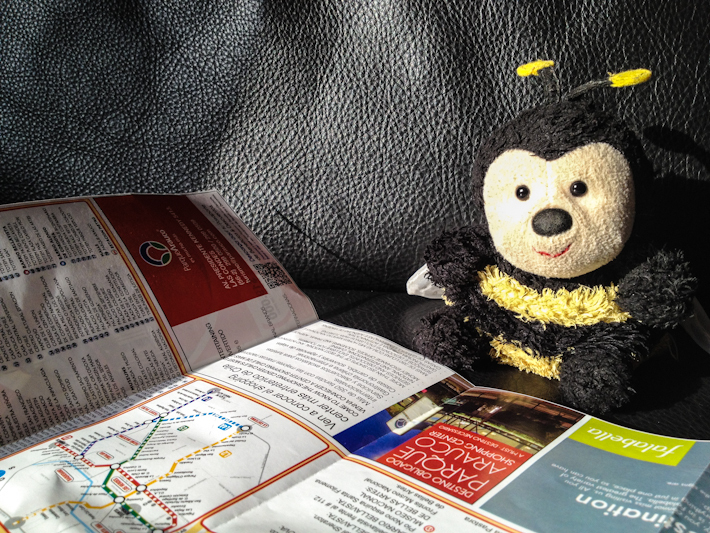 Wherever we go next, Bee will be there. And we hope you do too! Piggy-back ride with A, Bee & Z! Posada del Quijote in Comitan: Poo "aromatherapy"
so freaking cute, a very animated post. Love it. I did the same thing but instead of using Bee, i was using Spidey, but reality was that i would always forget him and the pictures the i took were blurry and not so good. Ha ha. Anyway, I really enjoyed the post, good storyline and good photos. :) Thanks guys. Hey Lind, thanks for the comment. 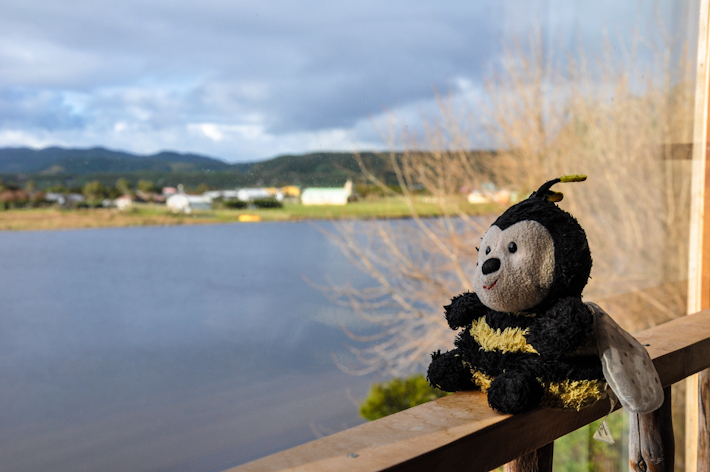 How do you keep bee clean? 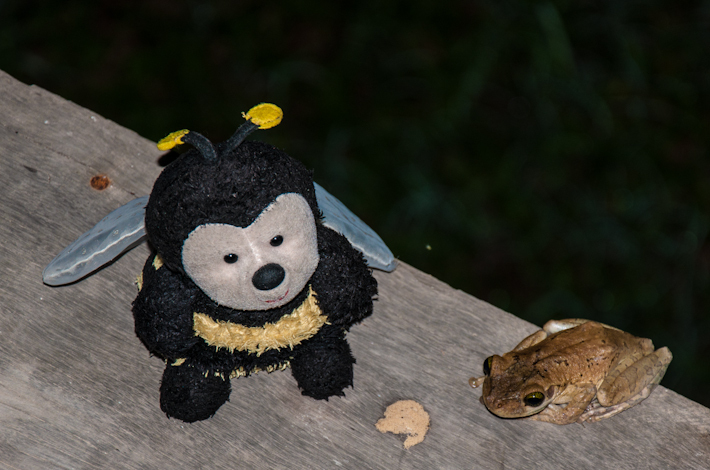 I bet she gets a little grubby going everywhere with you..
Kermit is very cute too – specially with those shoes on!